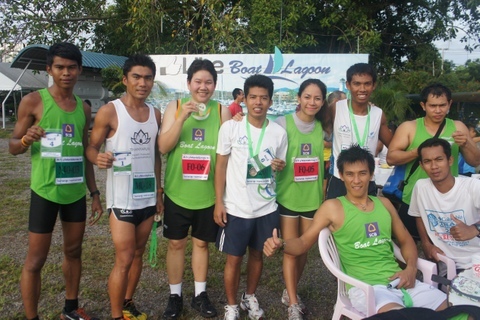 Thanyapura Sports and Leisure Club’s triathlete Jaray Jearanai, far right. 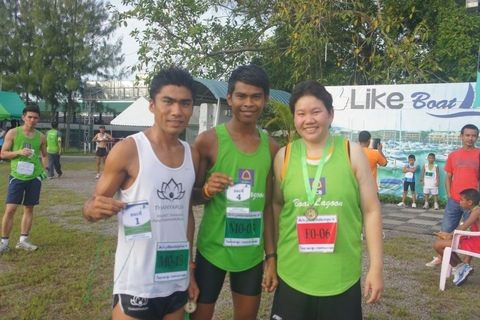 Jaray has been training with TSLC’s triathlon coach and five time European Ironman Champion Juergen Zack for the past two years, and has attended triathlon competitions around the world including Kona. 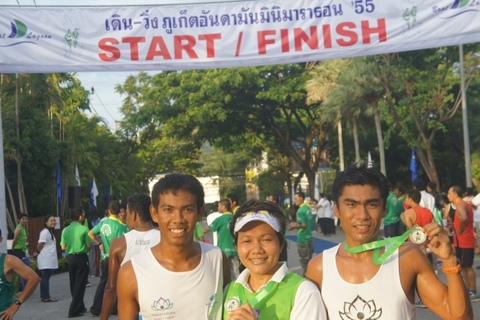 The event, organised by Phuket Andaman Pearl, saw a total of 491 runners compete.